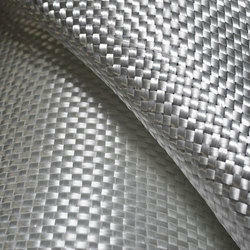 Our range of products include fiberglass woven roving and fiberglass roving. Engaged as a manufacturer we are involved in offering our customers with Fiberglass Woven Roving. These products are developed from continuous glass fiber roving, which is interlaced into heavy weight fabrics that are procured from reliable vendors of the market. Compatible with most resin systems, our offered products are used in most cases to increase the flexibility and impact strength of laminates. Being a client-centric organization, we are engaged in manufacturing and supplying Fiberglass Roving. Our offered roving is available in a variety of weaves, weights, width and finishes to meet the diverse demands of customers proficiently.